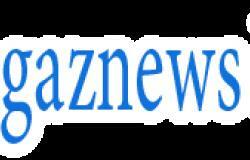 They hit headlines after they shared a cosy embrace at the Pride Of Britain Awards in 2017. 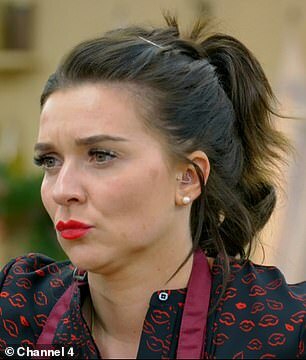 But Candice Brown and Paul Hollywood appeared to laugh off their kiss as they reunited for The Great Festive Bake Off special on Channel 4 on Tuesday, which saw 2017 finalist Steven Carter-Bailey win the show. 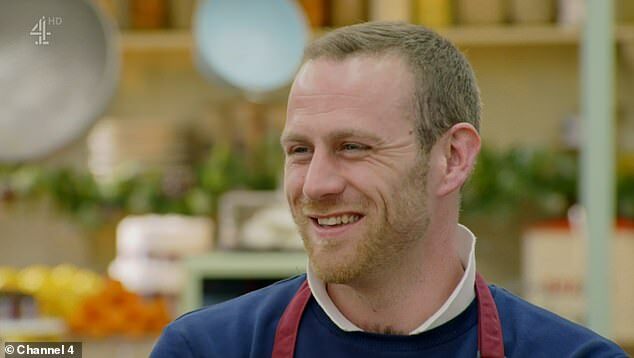 The judge, 52, branded GBBO's 2016 winner, 34, 'brave' for returning to the show a year on from their steamy display, which took place when Candice was newly-engaged to now-husband Liam Macaulay, and Paul was married to wife Alexandra. 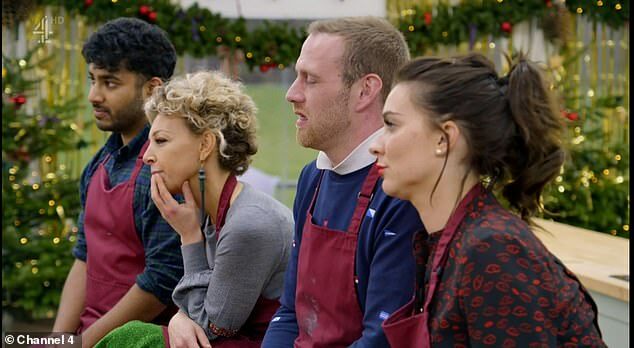 While introducing the stollen task, Paul described Candice as 'brave' as she tackled to be crowned winner for the special against Steven, 35, 2015's runner-up Tamal Ray, 32, and 2014 contestant Kate Henry, 41. 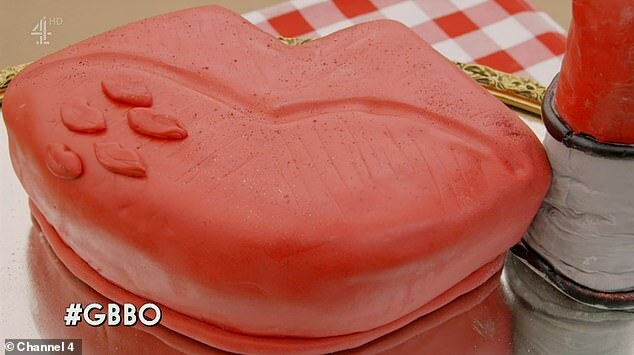 The pair appeared to mock their smooch further into the episode when Candice introduced her 'wear more lipstick cake' for the 3D New Year's resolution task. Paul, Noel Fielding, 45, Sandi Toksvig, 60, and Prue Leith, 78, burst into laughter as the This Morning star revealed her inspiration behind the sweet treat was over her 'lack of lipstick'. 'Paul seeing Candice again. 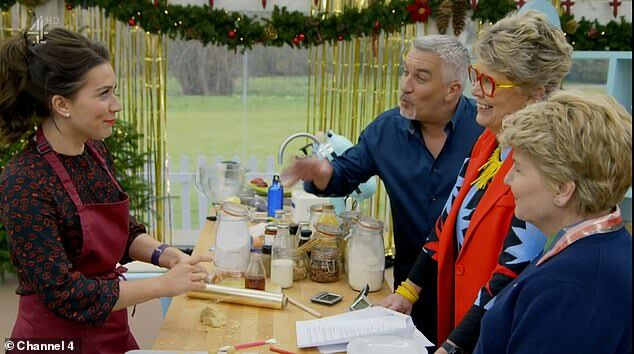 #GBBO', a third tweeted, alongside a funny meme of the celebrity chef pulling a cheeky smirk. 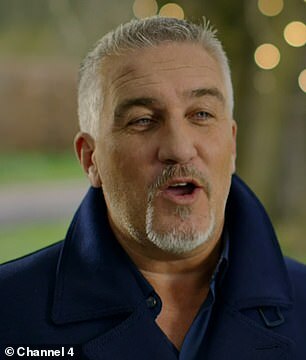 Paul raised eyebrows with a farewell kiss with the former contestant after a night in November 2017. In the pictures, he cupped the back of Candice's head as he kissed her goodbye following a night out at the Grosvenor House Hotel event. Candice, who announced her engagement to beau Liam the previous week, was also seen toying with Paul's ear as they relaxed at the table.